Join us at the fabulous Gem HQ to discuss all things blockchain and crypto! As always, we’ll focus on building up our community of LA blockchain zealots. Our co-host, Gem, is a Silicon Beach staple. 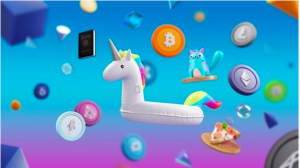 They are the creators of the all-in-one cryptocurrency platform that helps its users manage digital assets and experience the new economy with confidence and delight. Come hear from their team and like-minded women about what all the crypto future holds. The evening’s discussion is moderated by Gem’s Chief Strategy Officer, Chitra Ragavan, about security best practices when trading crypto. Be the first to know about what I’m creating and where I’m going.